Summer birthdays beg to be celebrated outside, but planning outdoor birthday ideas for kids can be a little overwhelming. With all the options available, which theme should you choose for your child’s party? Leap N’ Laugh of Rochester, New York, spotlights the top three fun ideas they’ve seen in their years of experience as a leader in outdoor party rentals. Summer and water instinctively go together, and a surf theme is an easy and fun idea. Rent a water slide, prepare and serve pitchers of tropical “mocktails,” and let each of your little one’s friends make their own leis to get into the surf spirit. Hula hoops make for an inexpensive parting gift for friends, while mermaid-inspired birthday cakes indulge every little girl’s fantasy. Let your little one celebrate with swimsuits, inflatable water slides, and popsicles for a party that’s truly a blast. Check out www.leapnlaugh.com for our 20’ tall shark waterslide. For slightly older kids, a movie under the stars party is adult enough to feel cool while still allowing kids to be kids. 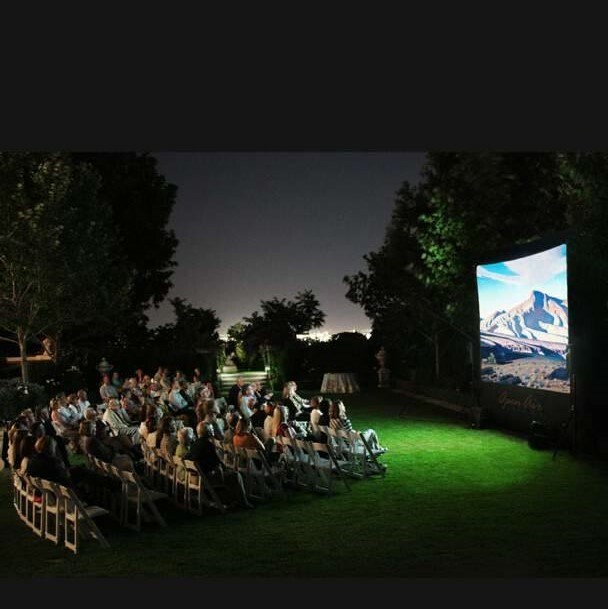 Rent a backyard movie theater, pop popcorn, serve hot chocolate, and invite the kids to snuggle up in sleeping bags and watch their favorite film under the stars. Kids will love the cozy feel of the night, while parents will love that everyone is supervised and entertained. It’s nearly impossible to find a child who doesn’t love the awe inspired by a trip to the circus. Between the animals, the food, the magic, and the ambiance, it’s every kid’s dream come true. For a truly memorable birthday, opt for a circus theme. Hire an inexpensive artist to man a temporary tattoo booth, rent an animal-themed bounce house, and set up a few “game booths” where guests can win small prizes to take home. It’s sure to be a huge hit! Regardless of the theme you choose, there’s a bounce house option that will perfectly complement it. Call (585) 469-8922 to speak with a customer service representative about birthday ideas for kids this summer, or visit the Leap N’ Laugh website for a full listing of outdoor party rental options.